(Television Series: 14 Episodes) 2003. I don't care, I'm still free. You can't take the Sky from me. I'm not sure who could have predicted the success of Firefly and the rabid fan base which grew around the show. Certainly not the television executives who in 2003 canceled it after only 14 episodes, episodes which they had already decided to air out of order. More perplexing to me, though, is the appeal of the show to fans. Do not mistake me, this is a fine show, but its appeal is particular, I think. A brief comparison to the Star Trek franchise may elucidate. First, there is not really much science involved. There is a lot of technology, but it is in the background. There is no technobabble, there are no crystals to rotate and there is no polarity to reverse. There is not a lot of the science, ostensibly part of the appeal to fans of science fiction. Second, the galaxy of Firefly is not the galaxy of the Enterprise. In Star Trek, the Federation is a big happy family, and that's really not too much of an exaggeration. The explanation for how Earth joins the United Federation of Planets is that World War III breaks out, in the aftermath aliens visit Earth, and everyone is so bound together by the experience that they create a world government and cure disease and poverty. That's the actual explanation (and I haven't left any details out, either!) Sounds like another infamous popular delusion. Here's how it is: The Earth got used up. So we moved out and terraformed a whole new galaxy of Earths. Some, rich and flush with the new technologies, some not so much. The central planets, thems formed the Alliance, waged war to bring everyone under their rule. A few idiots tried to fight it: among them, myself. There is its, in the words of Malcolm "Mal" Reynolds, captain of firefly-class transport ship Serenity. The Alliance is not a vast benevolent organization. They decided, apparently without universal consent, to bring other people under their rule, and those other people dissented. I like the way the writers worded that, "under their rule." One often hears the sentiment instead expressed as, "under their rules," as if to say, "we just wanted them to follow our rules." Isn't it really the same thing, particularly if those folk don't very much care for your rules? 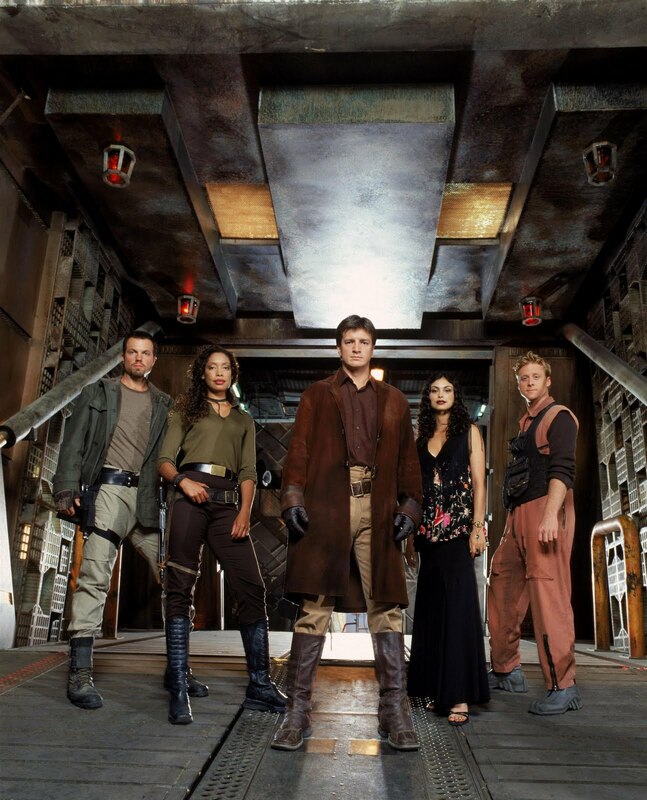 It's hard to say very much about the galaxy of Firefly, there being only 14 episodes and all. The core worlds are clean and pretty and safe, but controlled. In one episode, Reynolds' first officer and partner from the war, Zoe, won't step foot on an Alliance world. They can keep their parks, museums, and iridescent pools, and along with all that their Feds and cameras and rules. Speaking of rules, the rules aboard Serenity are pretty tough too, though, and the Captain makes them. There are no votes, but you're free to leave whenever you like. 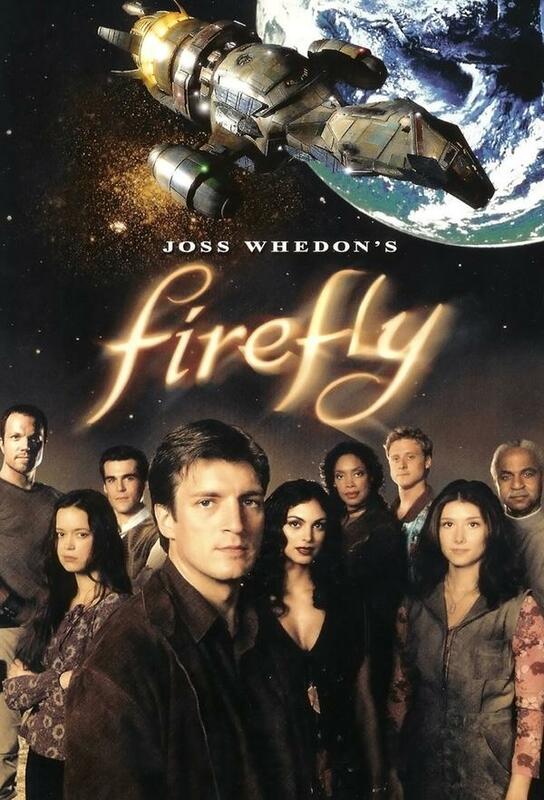 I like the title of the show too, Firefly. Sure it's the type of ship, but Serenity is the theme of the show, a fact best illustrated in the episode Out of Gas. Serenity is damaged and adrift and Reynolds is alone on board. Injured, he recalls how the ship and crew came together. He could have bought a bigger, fancier, better ship, one the dealer said "would have been with him his whole life." Instead he opted for beaten up old Serenity. Why? Because it called to him, somehow. He felt at home in it. He was free to choose it and, while it was imperfect, would cause him a lot of headaches, and needed constant maintenance and care, he wanted it. He could have bought the fancier ship and been secure. When Serenity breaks down in space, though, because one little part broke, and when the crew has to abandon the ship, and when Serenity gets boarded by salvagers who try to kill Mal and steal the ship, when the captain lies there bleeding, alone, and running out of air, he remembers how he got there, and we see the price of freedom, the great risk. Indeed the outer planets are rough places. Deals go bad, violence ensues. Some people are nuts and some places have crazy rules. Some people end up not free anyway, enserfed to a local autocrat. It's no coincidence the show has a prevalent Wild West theme running throughout. What becomes clear throughout these 14 episodes, though, and what I presume would have been developed throughout multiple seasons, was what did create order. What did create order were the rules you agreed to, usually just the price and terms for a job: the law of voluntary trade. What counted most perhaps was reputation and in a pair of episodes we see a stark contrast. A sadistic torturing crime lord hires the crew of Serenity for a job. The crimelord, Niska, is very concerned about his reputation and wants to be known as a monster to be feared. In contrast, when pulling off the job, Mal realizes the job is to steal medical supplies from colonists out in the middle of nowhere. The higher up feds, when they learn of the heist, don't care. They don't care about local matters and aren't going to go chasing after "Band-Aids." After a change of hear Mal brings the supplies back and, meeting the local sheriff he has just hoodwinked, they have the following exchange. You were truthful back in town. These are tough times. When a man can get a job, he might not look to close at what that job is. When a man learns all the details of a situation like ours, then he has a choice. I don't believe he does. In the end it was not the evil Niska who wanted to be thought of as evil bbut contracted out his crime or the evil Alliance who wanted to be thought of as good but chose to take the resources and not provide the promised protection, it was not them, their force, and their false pretenses of creeds which determined the outcome of events, but of men like Mal who freely did what they thought was right. You can have all of the formal laws and promises you want, but its what you or an institution does and don't do that determines character. Mal doesn't "want to be thought" of: he doesn't stiff Niska and he was planning on leaving the medicine for the sheriff to find. He just wand to make things right and go on his merry way. He plays by his rules, sure, but here we see also a deference to natural laws. Freedom is a messy business. Such a situation probably would never have happened on a core world, but neither would have taking a walk without being under surveillance and a lot of other things too. But the alternative, in the words of Captain Mal Reynolds, is "government: a body of people. Usually, notably, ungoverned." The alternative to freedom is government, an institution which limits freedom to create freedom. Probably wouldn't make sense to people like Mal and Zoe, who said "I'm not so afraid of losing something that I'm not going to try and have it." Directed and written by Joss Whedon. 2005. What I left out of my discussion of Firefly was the story of the Tams, a brother, Simon, and his younger sister River. Their story was a subplot along the series but never came to the forefront and never got fully developed until Serenity. River, a teenage prodigy, was sent to an academy on one of the core worlds. What happened to her there? Simon wasn't sure but he knew it wasn't good. A brilliant doctor, he nonetheless threw his fortune and career away to break River out. The two became fugitives relentlessly pursued by the Alliance, but sought and found refuge on Serenity. Now Serenity has all of the sass and charm of Firefly, but since this is the conclusion of the story of the Alliance, the war against them, and the Tams, Serenity is less anarcho-captialistic Wild West and more anti-statist, anti-authoritarian slug-out. So yes, it's great too. What Serenity has that Firefly lacked was a great villain. Here he is a ruthless Alliance Agent, but he's drawn not vaguely but in particularly statist mold. The Agent admits his methods are evil, freely calling himself a monster. He kills lesser Alliance officers and any known associates of Mel's crew. "If the enemy goes to ground leave no ground to go to" he says. Yet, crucially, he doesn't know his ultimate objective. He doesn't know what the Tams did. All he does is follow his orders, which are to retrieve the Tams at all cost. He's a monster but a bureaucratized one, granted authority from on high, from someone but who knows just who? He has absolute power with no accountability. Do you think anyone in the Alliance knows about these agents? Do you think anyone ever voted for them, "Hey lets create this class of trained assassins and let them do whatever they want! I second!. . .") Doubtful. The Agent is a believer in his cause, and he does not worry about the means of achieving it. When going to confront the Agent, Shepherd Book tells Mel, "You have to believe in something" in order to beat this man. Indeed, Mel has to believe in freedom as much as the Agent believes in the Alliance. At last though, we find out why the Alliance wants River Tam. You see, River has been acting odd, odd because at the alliance "academy" they did experiments on her to make her a telepath and assassin. (The biggest bit of science fiction in the series and movie.) While they damaged her brain, thus the odd behavior, they did make her partially telepathic. Yet they were foolish enough to let high ranking officials in the room with her, and River learned their secret. The Alliance called for colonists to settle a distant planet, Miranda. Once terraformed and running, they engaged in a little social engineering, piping a gaseous drug into the air processors. The drug, "Pax" was designed to weed out aggression and make everyone peaceful. It worked, making everyone so peaceful and passive they just stopped trying, working, and breathing. They just stopped doing everything, and died. The drug had the opposite effect on some, though, who reacted with extreme aggression. They became known as Reavers, barbarous and vicious men who eventually took over a portion of space and began raiding other vessels. No one had known where the Reavers came from, just that they appeared and started pillaging. Now we learn they were created by the Alliance experiment. Now I'm asking more of you than I have before, maybe all. As sure as I know anything, I know this: they will try again. Maybe on another world, maybe on this very ground swept clean. A year from now, ten, they'll swing back to the belief that they can make people better. And I do not hold to that. So no more running. I aim to misbehave. No social engineering, no tinkering, no tweaking. We meddle. People don't like to be meddled with. We tell them what to do, what to think. Don't run, don't walk. We're in their homes and in their heads and we haven't the right. We're meddlesome. The teacher replies, "River, we're not telling people what to think, we're just trying to show them how." Sure, only "how" as long as the "what" ends up being the same. Anyway, that was before they cut up River's brain and programmed her to be a mind-reading assassin. The climax is a great space battle in which Mal lures the Reavers and the Alliance into battle and he notes with great satisfaction, "The chickens come home to roost." Some might find the anarchic theme of Firefly romantic, that it's a pipe dream of a world without government and force. I don't think it's so romantic, in fact the galaxy depicted is a mess, and as I said above, some people end up not free anyhow. Yet as imperiled as Mal and the crew of Serenity often are, they follow only the rules they will and they're all on Serenity by choice. That "love" is the key, Mal says, though we might express it more specific terms. It's what keeps the motley group together, what keeps the beat up ship in the air, and what makes Serenity a home, and the crew a family. There's no place I can be, since I've found Serenity. P.S. The theme to Firefly, written by creator Joss Whedon, is a rare instance of a song perfectly embodying the show, and I think lends credence to my anarchic interpretation. great summary! in my bookmarks. the film is the first I've gseen that takes on utopian states.... like the EU for example... refreshing. and needed in this age of PC dictatorship . Thanks for reading and I'm glad you enjoyed! You know I can't think of any other films like it either: it's not just about a repressive regime but about the nature of government in general. I must say, though, I'm surprised by how many big-government folks are fond of the show/movie since it's so radically different from their views.